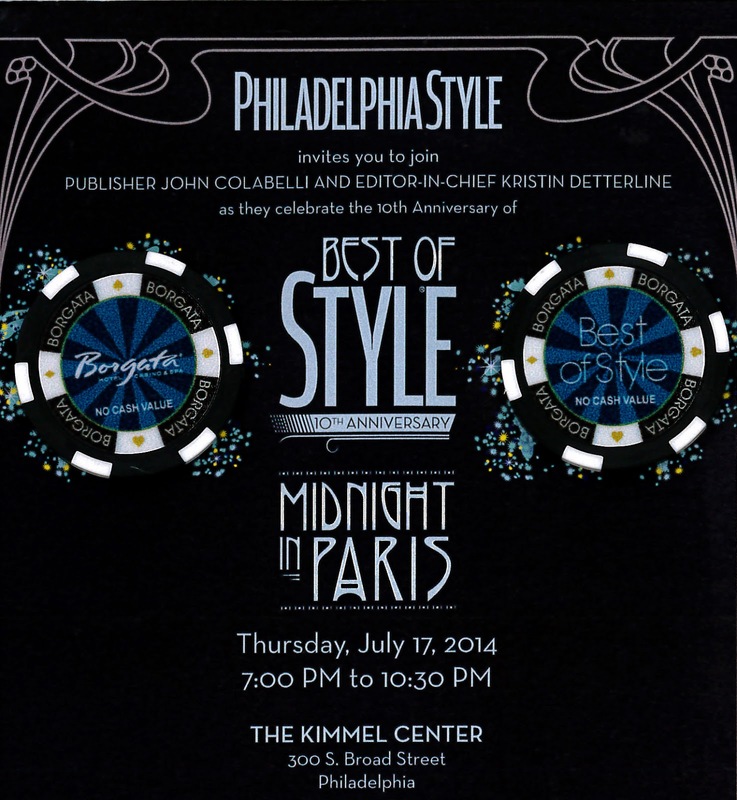 Philadelphia Style always throws a memorable bash, and for their 10th Anniversary they invoked the charm, passion, and style that Paris is known for. ellelauri founder and designer, Liz Rymar, pictured below, attended with some of her ellelauri girls. Pictured above, Lindsay Connors, Liz Rymar, and Amanda Campfield, l to r.
Above, Liz Rymar, right, finds some party guests wearing ellelauri. It’s just not Paris without twin Eiffel towers. Amanda, left, wearing the Milly dress. These lovely Borgata showgirls sure know how to get noticed in a crowd! The Kimmel Center was packed with plenty of Style. A beautiful night in Paris without leaving Philadelphia.